Precision-engineered to resist water and dust with a sleek Retina HD display and all-glass design, the iPhone 8 is made to look and work great. 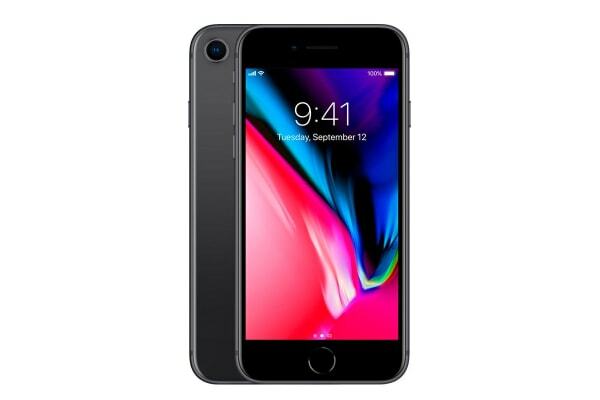 Precision-engineered for toughness, the iPhone 8 features an ultra-tough glass design that enables seamless wireless charging, with a water and dust resistant body. iPhone 8’s smooth looks are complemented by a Retina HD display and True Tone technology, which automatically balances colours to match the light around you for excellent viewing. The iPhone 8’s 12MP camera is set to impress even season photographers, with a large and rapid sensor, colour filters, deeper pixels and facial landmarking for dramatic studio lighting effects. iPhone 8 is fast. With four efficiency cores that are up to 70% faster than A10 Fusion, and two performance cores that are up to 25% faster than the iPhone 7, you can rely on iPhone 8 to deliver unbelievably smooth performance.